Do you long to have healthy hair, but feel like you’ve passed the point of no return? 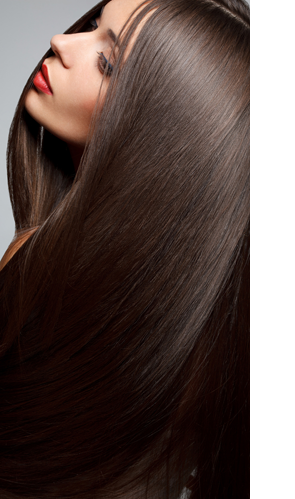 At The Retreat Salon in New Orleans, we believe that healthy hair is possible for everyone! If your locks are dry, damaged, over-processed, brittle, or dull, don’t lose hope. With a little time and the right products, your hair can be one of your greatest assets instead of your greatest frustration. Follow our tips below to learn how to pamper and nourish your tresses back to a shiny, healthy, vibrant state. Your shampoo and conditioner can be two of your hair’s best friends or two of its worst enemies. If your hair is weak, dry or damaged, it’s crucial to choose the right cleansing and conditioning products to keep it nourished and healthy rather than stripped and dehydrated. Moisture is a must!! 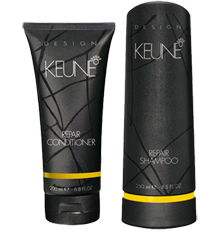 For strands that are stressed and in need of repair, we recommend Keune Design Repair Shampoo & Conditioner. The shampoo contains organic Argan Oil which gently cleanses your hair and controls moisture balance without stripping its natural oils. The conditioner also contains Argan Oil as well as Panthenol and polymers that strengthen, add shine, and give your hair a soft and silky feeling. TIP #2: BASK IN A MASQUE! Perhaps your hair is, well, more than a little damaged and needs more intense therapy and care. If you fall into the “over-processed, very dry, and porous” category, we recommend treating yourself to a super conditioning masque! Consider it to be deep healing spa time for your locks. Choose a product such as Keune’s Design Repair Treatment. This is an excellent deep conditioning product that contains Argan and Silicon Oils to repair split ends, add shine, and strengthen weak hair. You can apply the product to your hair following a shampoo, and gently massage evenly throughout. Then wrap your hair in a warm towel, prop your feel up and relax while enjoying a good book or a movie that you’ve been wanting to watch. After 30 minutes or longer (depending up on the amount of damage), simply rinse out the product and enjoy your strengthened, glossy hair! It will have regained vitality and a soft silky feeling all over.